Hard-hitting law enforcement and self-defense rounds! 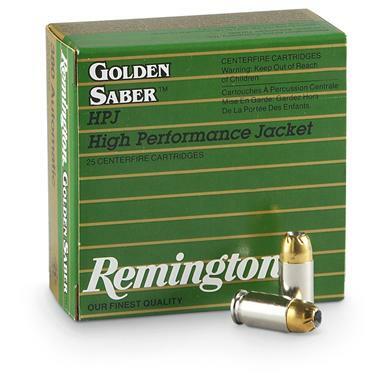 Remington Golden Saber, .380 ACP, BJHP, 102 Grain, 250 Rounds is rated 4.9 out of 5 by 7. Rated 5 out of 5 by George3 from Remington Golden Saber 380ACP Good price, quick service! 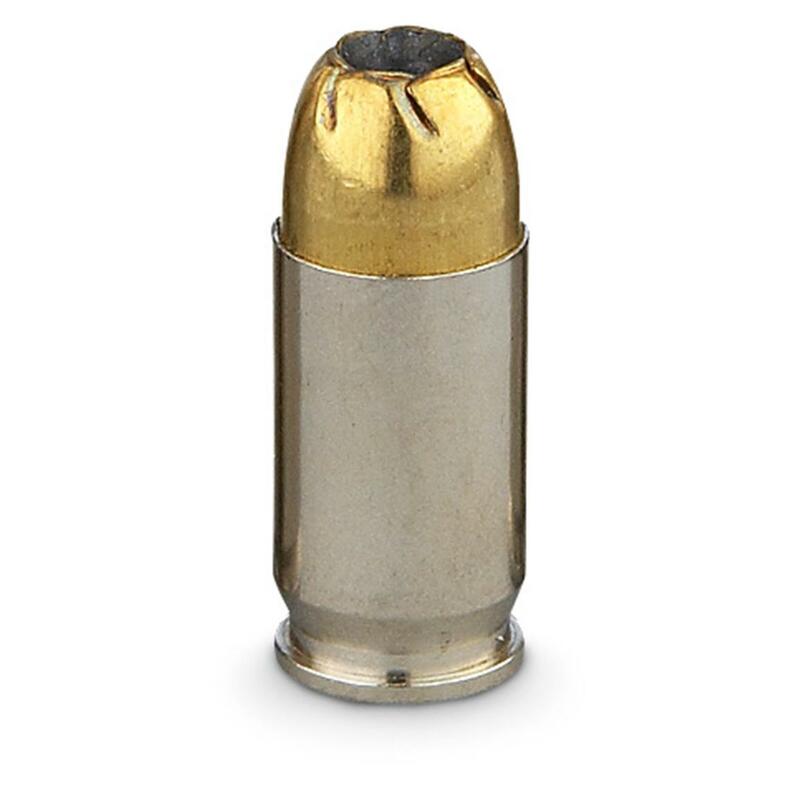 Rated 5 out of 5 by SAMUEL from The 102-gr brass-jacketed hollow point(BJHP)is a good round for self-defense. The brass jacket allows for optimal penetration before expanding. The round should perform well. Rated 4 out of 5 by JOHN from Haven't had time to go to the range yet,and don't expect any problems with Remington Ammo.This Hollow Point Ammo is for my carry weapon. Rated 5 out of 5 by JOHN F from Great buy in price and product. Rated 5 out of 5 by JOHN F from Excellent product for a long time well known among shooters/self-defense shooters.